I think we all remember five things; your first kiss, your first share market investment, your first visit to an airline lounge, the first tie you wore (that wasn’t a school tie) and the first cafe that just captured your heart. I had just moved to Sydney (about 7 years ago) for work and a little cafe on the corner of Bent and Phillip St won a special place in my heart. It was owned by Illy at the time. I worked in one of the nearby office buildings and I would always stroll down to the cafe and enjoy the waft of fresh espresso, the sound of the iron frothing thingy foaming the milk, watching the bankers on blackberries, legal doyens with their files of case notes and government bureaucrats with their lousy fashion sense; all waiting for their daily caffeine hit. It was a place I loved… it had a real charm about it. It was full of fond memories, morning coffee run with colleagues, that chilled out escape you needed a time out from work and one of my fondest memories was when one of my bosses was moving back to London I met him there to give him a fountain pen. He appreciated gift and said “its the thought that counts” and gave it back to me as a gift. 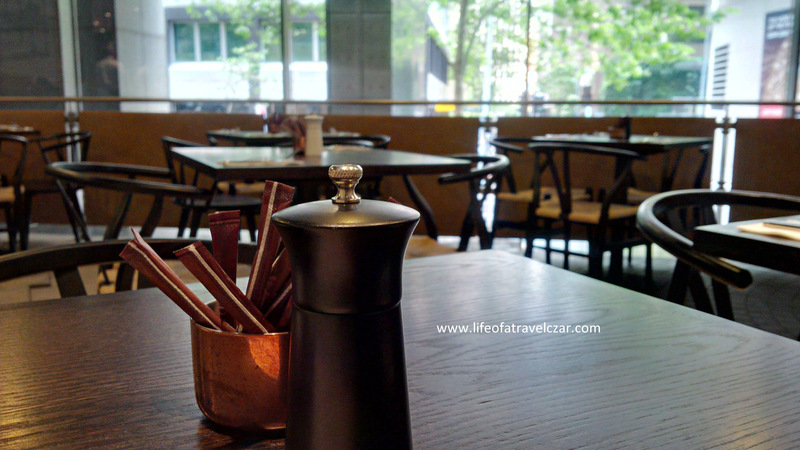 Alas, it was heartbreaking to find out Illy had closed its doors last year. 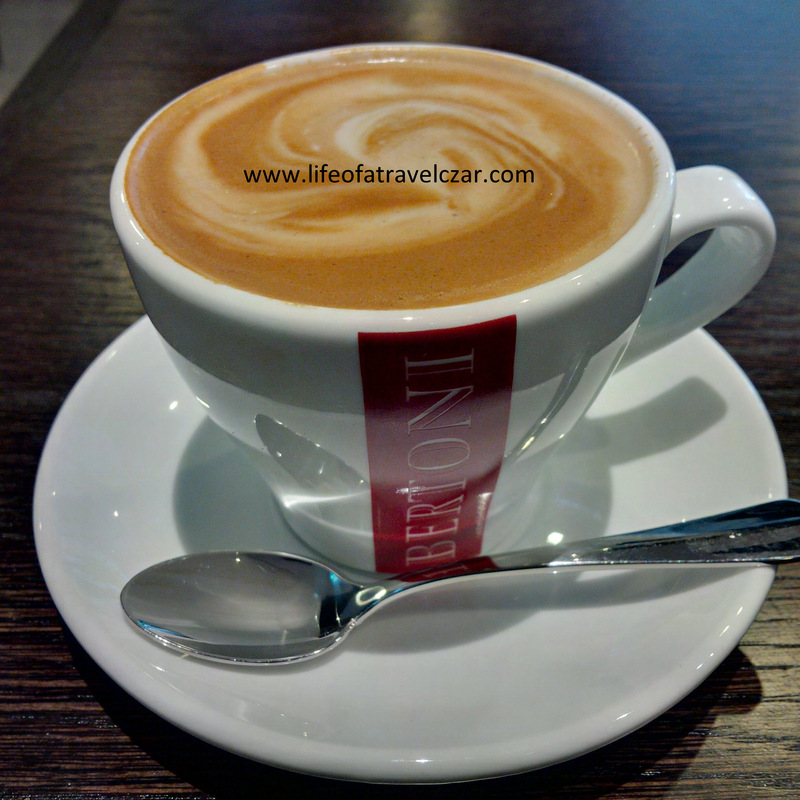 However, to my excitement I recently found out my beloved caffeinated refuge had a new tenant – Bertoni. Walking into the cafe made me a little nervous… a million thoughts and worries plague my mind; I don’t know what’s on the menu, what if it doesn’t live up to expectations? I work through my fears and wander in and I see things are pretty hip. There are heaps of people behind the bar preparing fresh coffees, there some beautiful pastries on display and freshly made paninis for rush hour breakfast. I am early for a meeting, so I decide to head to back and order from the broader the menu. The place still has a charm to it and I settle back and it feels like old times again. 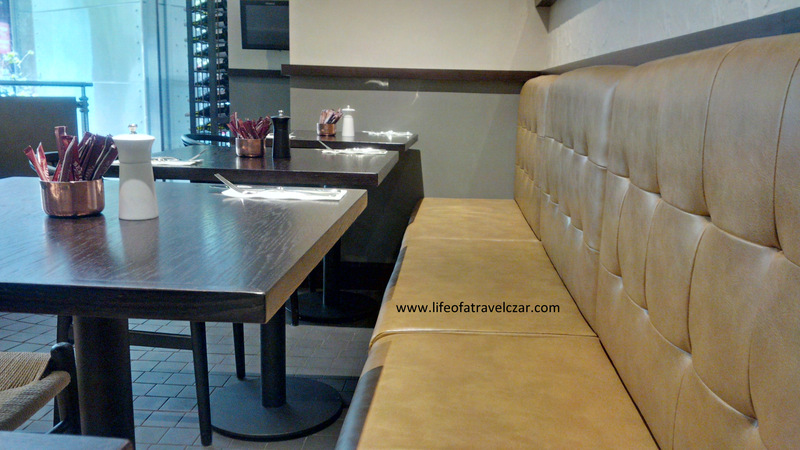 The place is much better styled with soft creamy leather long “sofa-like” row, dark wooden tables and so much better spaced out. I order a skim flat white and it is oh so good. The velvety bitter crema just grips your tongue while the silky smooth milk paired with the espresso gently glides over my taste buds to wake me up as I see the city traffic and crowd start gather around the surrounding streets. The coffee is a hit… no complaints here. 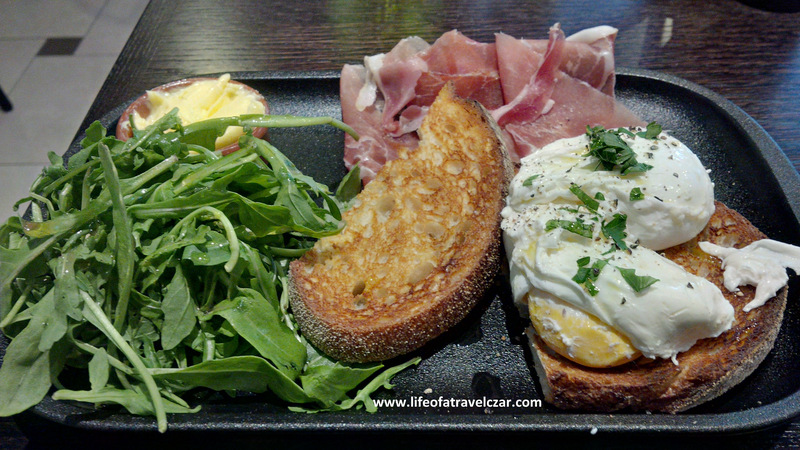 Then I mull over whats on the menu but I can’t seem to go past the Poached Eggs with Rocket and Prosciutto. The poached eggs are beautiful, the soft and slightly gooey gelatine texture of the egg whites dissolve on the tongue, while the rich sticky yolk when liberated from the protective casing of the white flows to cover the toast with a radiant dark yellow glow. Some of the egg yolk is slightly more cooked and provide a sticky powdery texture to round out the experience. 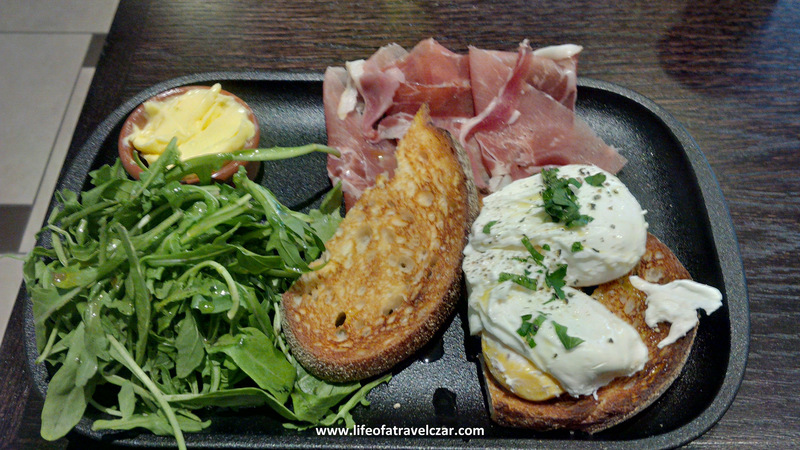 The richness of the oils from the prosciutto gently ooze onto the tongue with every bite with some lovely sensuous saltiness which provide the perfect pairing to the eggs. The pepper flavour of the rocket adds a leafy texture and a gentle (subtle) spice to complement the cracked pepper sprinkled on the dish. The rocket is drizzled with some olive oil and a tangy dressing which gives a little extra kick to the dish. 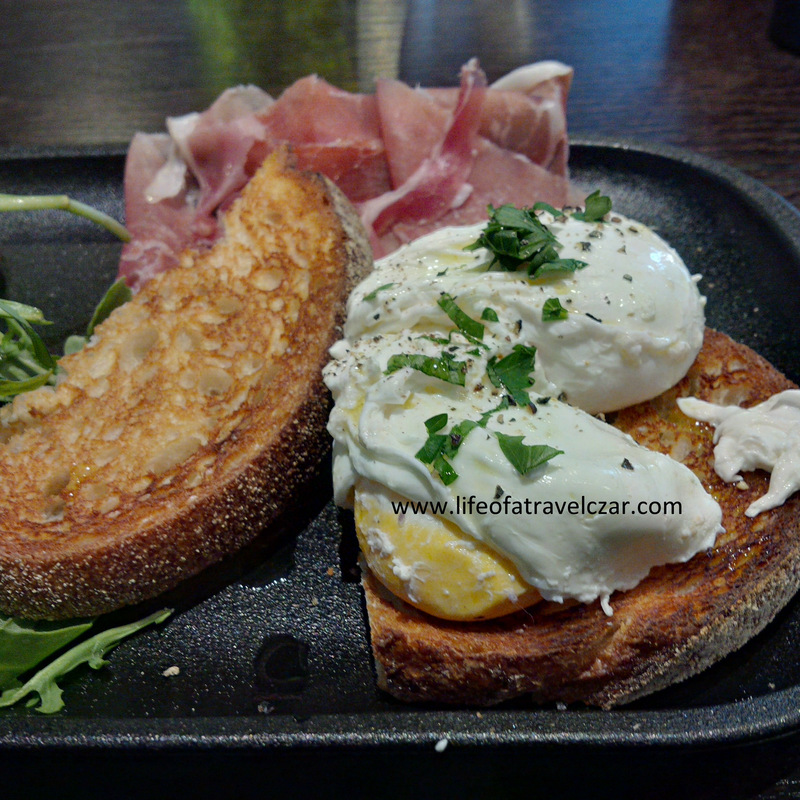 The dish just works effortlessly with all the different ingredients for a very satisfying breakfast experience. Love it! I just love this place and I am so glad that the quality of Bertoni means that it continues to be worth a visit and remains a treasured place at heart.